The associative principles on which the credit unions - non-bank financial institutions are based on, penetrated Romania under the influence of the western world. In Transylvania, this type of associations appeared since the 18th century AD, following the guilds's pattern, which had a mutual aid functionality. Recent researches in the state archives confirmed that one of the earliest of these associations appeared at October 1-st, 1892 in Săcărâmb - Certeju de Sus. It was a "Bruderllade" kind of association which was approved by the Ministry of Finances from Budapest with a document that was later translated and legalized by Romanian authorities in 1928. After more than a century of subordination, at the beginning of the year 1990, the credit unions of the employees came out from the control of trade-unions, obtaining the status of legal, independent, private entities unsobordinated to the state administration, trade unions or parties. 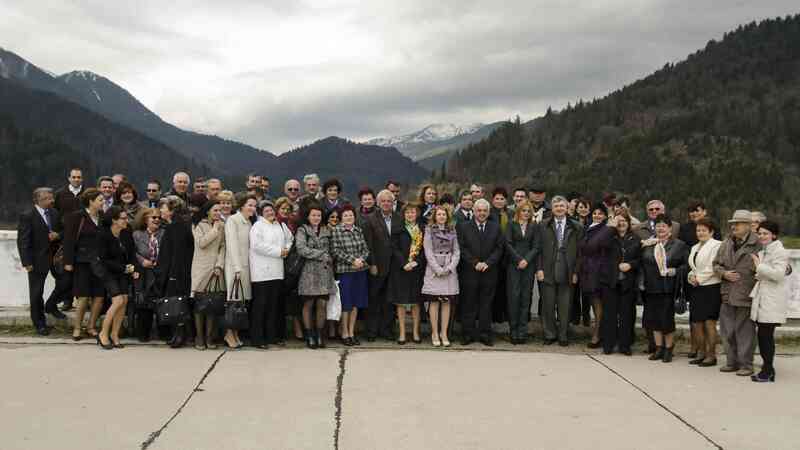 The local credit unions created county-wide associations, which constituted the National Union of Employees Credit Unions from Romania, comprised of one million members. Credit unions, or mutual aid houses in Romania are autonomous, voluntarily reunited associations of people, pursuing the goal to satisfy the economical, social and cultural needs and aspirations of the members through democratic controlled institutions. C.A.R. (the mutual aid houses) are guided by a series of principles such as: voluntarily and open association, democratic control and economic participation from the members, autonomy, independence, education and training of members. In time, C.A.R. 's activity confirmed both the tradition of supporting of the ones in need and being a symbol of a responsible and efficient comunity. They brought their members a touch of hope and trust, always emphasing the feeling that they are not alone. The idea of belonging to a social and economic comunity based on trust and mutual respect has always accompanied C.A.R. members. They felt not only the financial support coming from the comunity they were in, but also the care and human feelings closest to friendship, which grew in time between members. When someone stretches a helping hand when you find it difficult, you tend to warmly squeeze it. Gradually, along with the changes in society, C.A.R. 's social and economic comunity evolved. Of course, every historical stage marked their activity in its own way. Against all odds, the credit unions gained step by step the experience and objectivity needed to become an entity. In time, both the needs and the evolution of society taught those in charge with managing and developing this important activity, that the practices and the structure must evolve, even if the work was voluntary. If, at a european level, the activity of former C.A.R., revamped and resized, shaped strong credit unions, at a national level the things evolved slower. Before 1990 the mutual aid activity in Romania, was based on a restrictive legislation, that bound and subordinated credit unions to companiesm through party controlled trade-unions. The political, social and economical changes in Romania after 1989, brought a totaly different approach to the activity of mutual aid houses. The beginning of the 90's, although dominated by the confusion caused by the social and political transitions, brought the first clear features in the field. C.A.R. started functioning as independent entities and in some countys they started to depart from the companies they were founded in. This is what happened in Hunedoara county immediately after 1990. Benefitting of a team of serious and warm-hearted specialists, the foundation of professional work in the credit unions was laid. The countywide Union of Employees Credit Unions (UJCAR) Hunedoara appeared early in 1990 and, eversince, led byf some determined people, it increased the work performance and deepened the process of professionalizing,based on the joint effort of the C.A.R. 's leadership and their members. The focus, solidarity and innovation made UTCAR Hunedoara, now UTCAR West Region, the most competitive union in the country, and many of the associated credit unions ranked top spots in the national competition too. With an increasing interest for innovation and professionalism, the UTCAR leadership together with the significant intake from the affiliated mutual aid houses, continuously extended the range of products and services offered to C.A.R. members. From the unique, classic form of loans limited to three times the social fund, to the current, wide range of loans and promotional services, there were many steps to follow. The professionalization process of the C.A.R. 's activity was ignited in 1990 by UTCAR West Region. It made its debut with C.A.R. 's separation from the companies and continued with the professionalization of existing staff and integration of specialized personnel. It followed development of a computerized system, first individual computers, than slowly and integrated, Internet based complex system emerged. Last but not least, an internal, efficient system was developed for recovering the receivables resulted from wrongful loans. In order to meet the existing members expectations and to attract new ones, a policy of territorial growth was implemented, most of the credit unions established agencies throughout the county and even outside of it, in order to allow members access to our services closer to their residences. The social changes in our region caused and increased mobility of the employees, many of them left Hunedoara and went to surrounding counties. Answering their requests, most credit unions from Hunedoara decided to create agencies in Timis, Arad, Caras-Severin, Allba and Gorj, expanding their activity, in fact, in the entire western side of Romania. This is why, recently, the association changed its name from UTCAR Hunedoara into UTCAR West Region, Association of Credit Unions of Employees from West Region. The wish of self improvement and the fact that there is always room for improvement determined UTCAR Hunedoara to become a REM member. Together with the representatives of the mutual help houses affiliated, it actively participated at REM's annual conferences held in Milan, Nice, London, Amsterdam, Bucharest, Stockholm and Lisbon. We find ourselves happy to participate at this year's conference in Warsaw, together with representatives of our majority of affiliated members. UTCAR Hunedoara or Credit Union Association from Hunedoara County is a non-profit organization, reuniting and representing Credit Unions from the western side of Romania. It has a history of more than 20 years, with a strong social component and thus it's indirectly involved in the regional micro financing as the main founder and shareowner to S.C.M. Aurora I.F.N. S.A. Created in 1990, UTCAR West Regiun focused on providing access to affordable financial services and financial education for low income households, and lately also for founders of micro and small enterprises. In order to support small entrepreneurs, UTCAR West Regiion, in partnership with UNCARSR ( the national association) founded of S.C.M. Aurora I.F.N. S.A. (NBFI), a microfinancing institution that's also a member of the European Microfinance Network since 2010 (alongside UTCAR West Region and UNCARSR).